Time to pack your bag and escape to the beautiful gem of nature. Oh, Bali, you are so beautiful! I spent a wonderful 5 days on the little island of Bali, so can't give you the ultimate guide but I can give you my little guide to Bali just like I would to a friend! Bali is undoubtedly one of the most beautiful and amazing islands on the planet, and it has a little something for everyone! Whether you are looking for surfing, partying, scuba diving, adventuring, or something more spiritual, Bali literally has it all! But the island is HUGE, and knowing where to stay in Bali can be overwhelming. Ubud is one of the most popular destinations to visit in Bali, Indonesia. 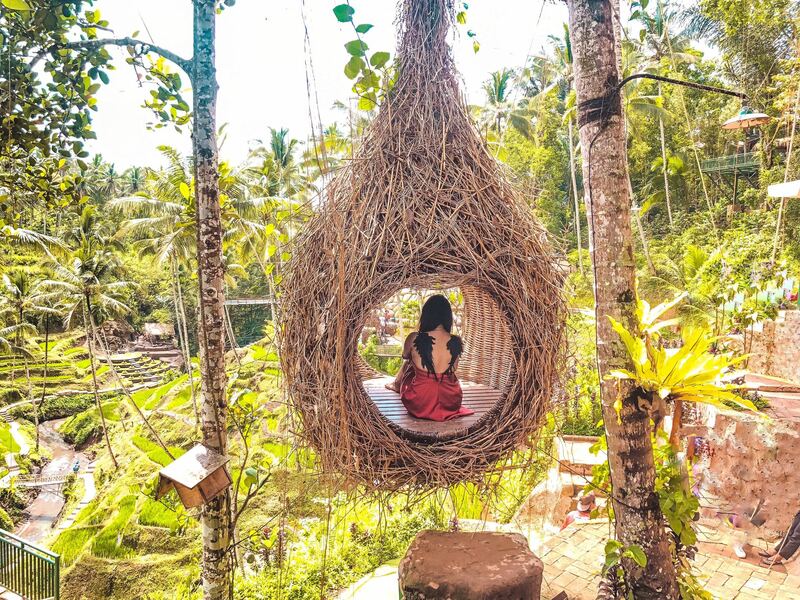 From incredible waterfalls and rice terraces, to volcano hikes, yoga classes and massages Ubud is just one of those super cool towns. We stayed in DESA VISESA UBUD in a One Bedroom Pool Villa which offered a sheltered terraced areas with sunbeds facing on to lush landscapes. Besides clear bedrooms with sliding doors giving wide outdoor views, private pools and open bathrooms have been enhanced with and I would highly recommend them. 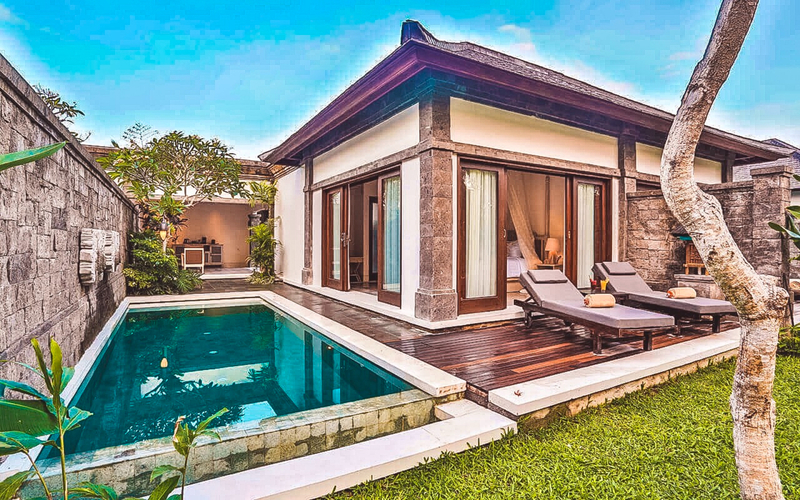 Everything was exactly as pictured a one bedroom villa with attached spacious bathroom and private pool, a small shed in the garden where you can chill while looking out to the vast rice fields that surround this villa. However the downside is that it's very secluded, it takes about 10 mins by motorbike to the central part of Ubud each way. It might not seem like much now but if you have to do this every day, it gets a bit old. But still, I loved my stay at the villa.